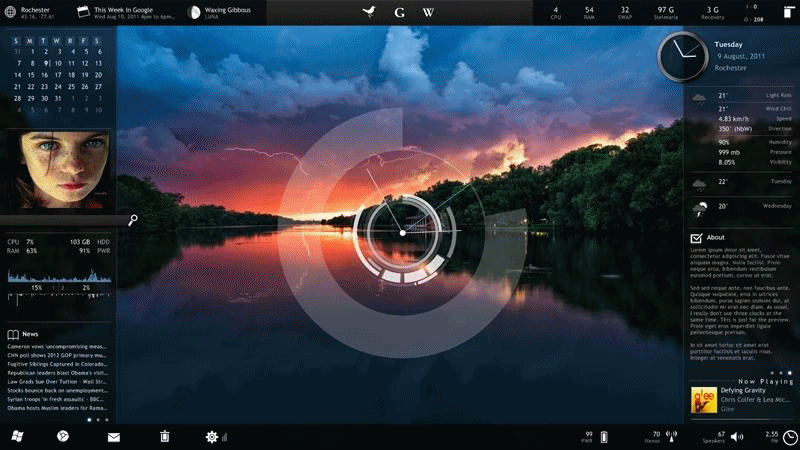 Rainmeter is a customizable desktop widget program with the ability to display tools such as memory usage, battery power, RSS feeds and weather forecasts. The program includes many functional skins, able to record your notes and to-do lists, launch your favorite applications and control your media player all in a clean, unobtrusive interface. Installer includes both the 32-bit and 64-bit versions. XP/Vista users: download 3.3.3 Release version of Rainmeter. - after updating to 3.0.. the Weather stopped working for "Essential Bar". an updated version has also been updated on DeviantArt. 3.3.1 Final Release (r2602) is out! Save.me automatically and seamlessly saves everything (i.e. files, folders, graphics, texts, URLs, emails) you work with and provides an easy way to search and organize it. 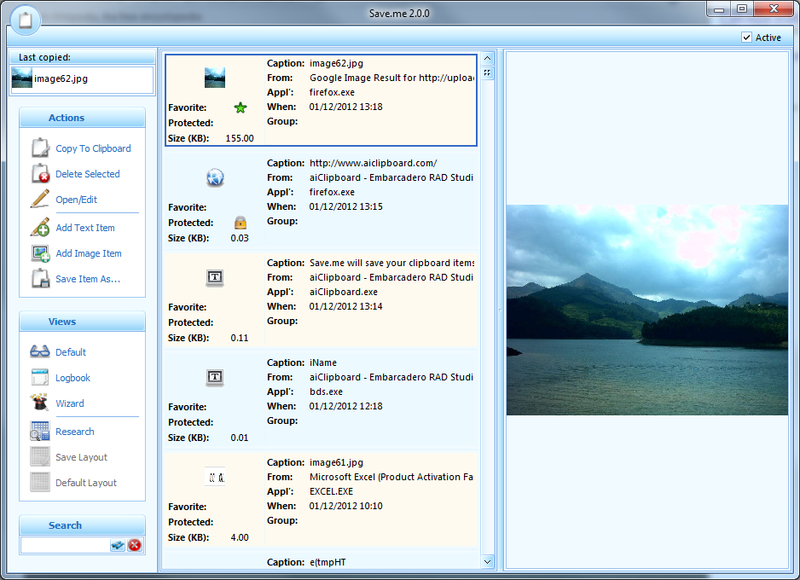 Includes a variety of organization views including by calendar, order of save, as well as groups and favorites. The program can also function beyond the clipboard, pulling information from one or more other folders to help combine data. Elements can be added manually, emailed, or posted to Facebook. How to extract: Download the ZIP package and extract to a folder of your choice. Launch SaveMe.exe. 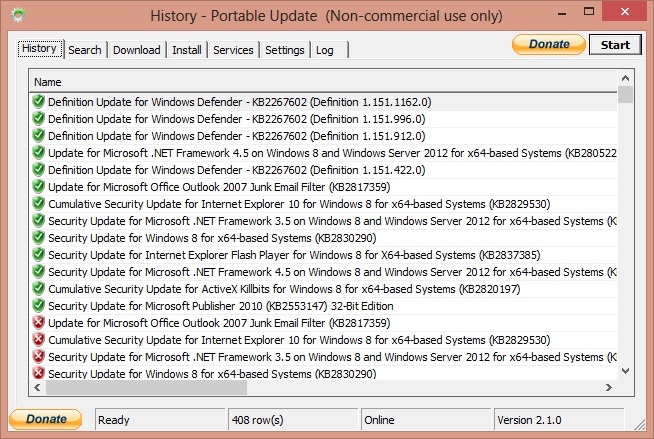 Portable Update helps machines run system updates from Microsoft. The program works to download updates independently for later installation, increasing stability and overall security. How to extract: Download the ZIP package and extract to a folder of your choice. Launch PortUp.exe. 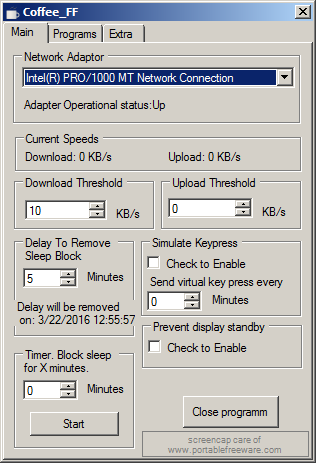 Coffee_FF helps power saving features on your computer work smarter by keeping your computer awake while a program or network connection is active. The program does not disturb the monitor sleep mode. You can choose from multiple network devices (e.g. wireless vs. wired) and/or multiple programs to watch. 64-bit version included in download. Added portable version to rar file. Rewrote code and improved program list. The OCD among us would be grateful for the correction. Can't find what you are looking for? This list shows entries with System - Monitoring as a supplementary function. You can view more entries with System - Monitoring as a primary function.